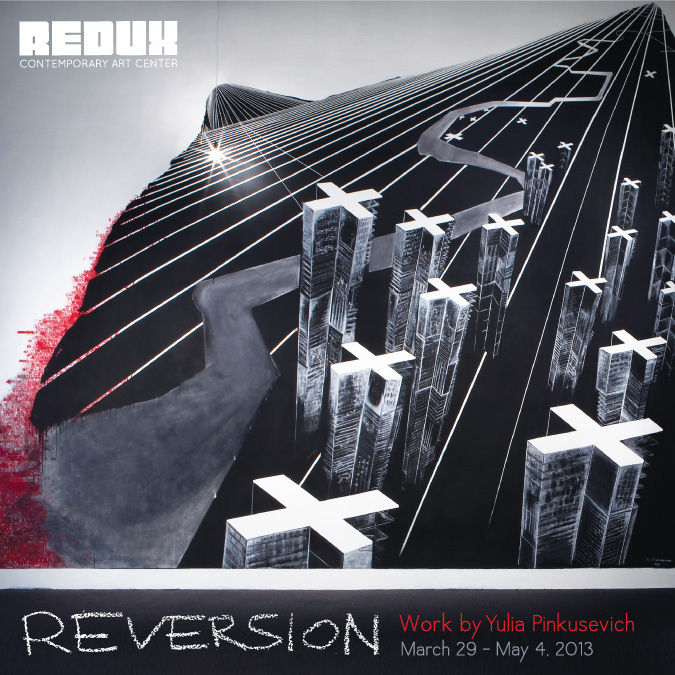 Yulia Pinkusevich’s Reversion Opens Tonight! Please join Redux tonight, from 5:30-8:30pm, as we celebrate the unveiling of our latest exhibition, Reversion by Yulia Pinkusevich. The event will begin with an artist lecture at 5:30pm followed by a festive reception with beer, wine, music provided by DJ R Dot, and delicious treats graciously provided by Cupcake. The opening event will also feature a curated selection of new work by Redux studio artists in our Connelly Gallery. Be sure to come hungry! One of Charleston’s favorite food trucks, Roti Rolls will be on site, serving a local, fresh menu that fuses Asian, Caribbean, Latin and Southern cuisine into their signature Roti Bread. See you there! This entry was posted in Artists, Events, Exhibitions and tagged Cupcake, DJ R Dot, Reversion, Roti Rolls, Yulia Pinkusevich. Bookmark the permalink.